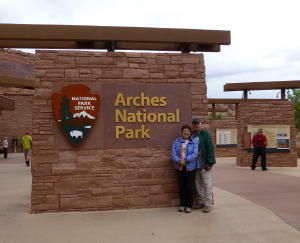 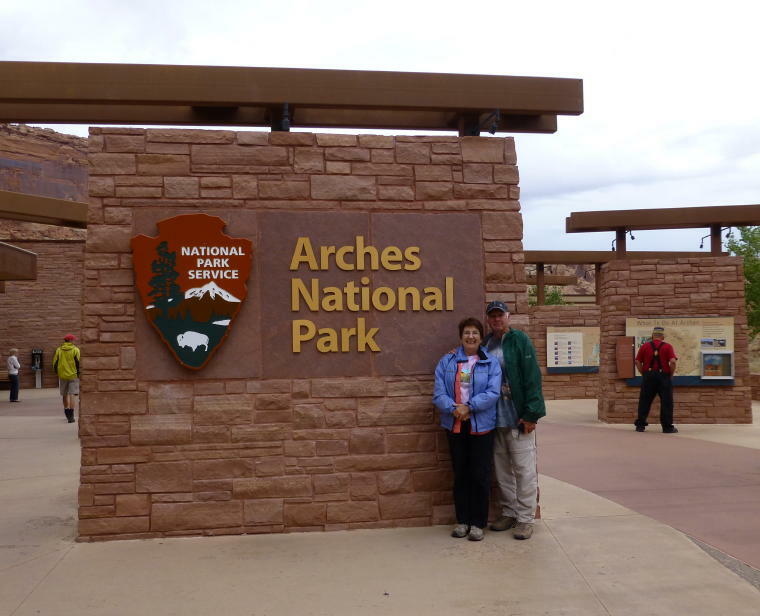 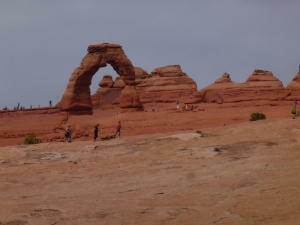 Arches National Park is located just a few miles out of the center of Moab, Utah. The park contains the largest concentration of natural stone arches in the world - more than 2,500 at last count. 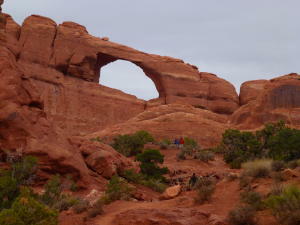 To qualify as an official stone arch, a hole must have an opening at least three feet long in any one direction. 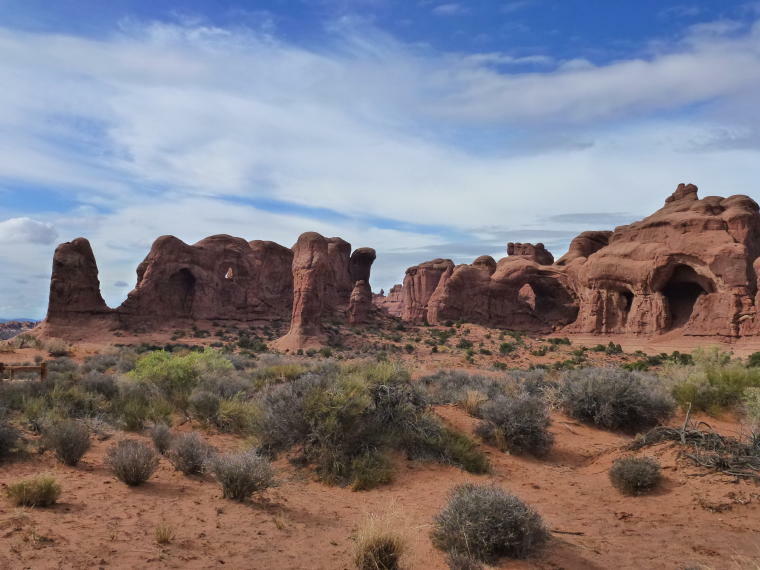 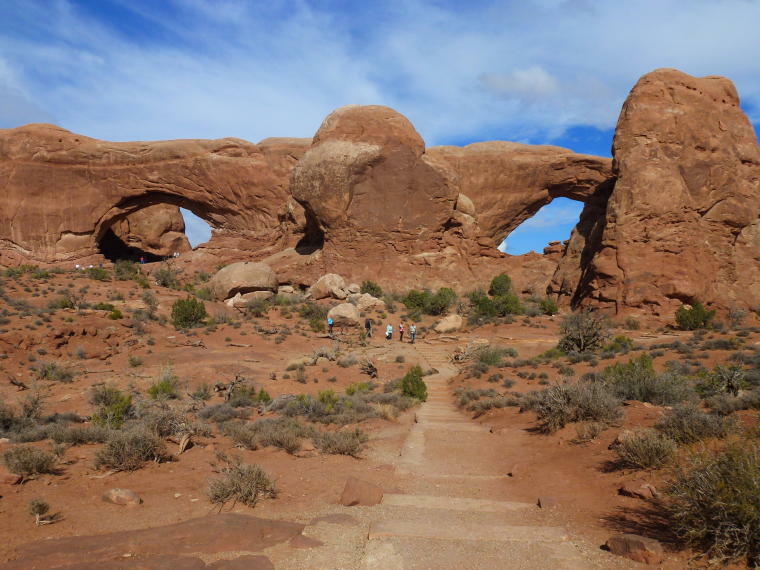 In addition to the arches in the park, there are many other unusual rock formations that have been created by extreme temperatures and water erosion. 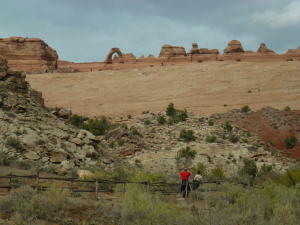 Many of the sites can be seen via short hikes from pullouts along the paved road leading through the park. 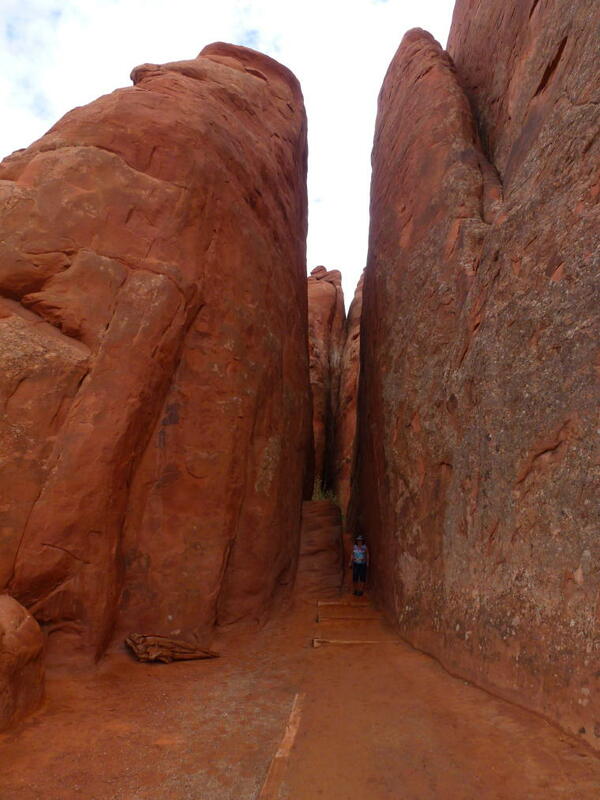 Landscape Arch - Longest arch measuring 306 feet base to base. 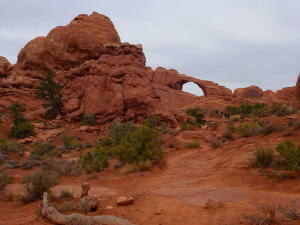 Fiery Furnace - Named for the warm glow seen on the rocks in late afternoon. 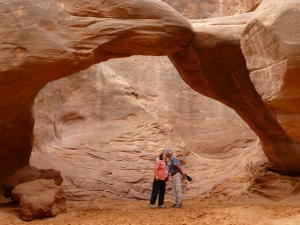 Actually it is a maze of cool, shady canyons between towering sandstone walls. 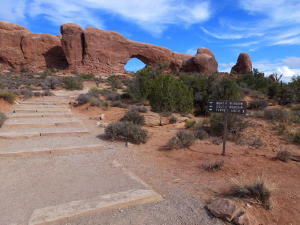 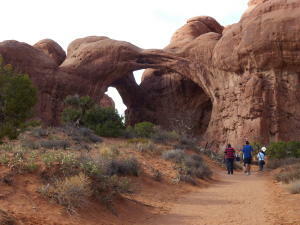 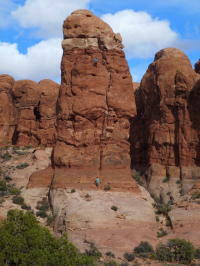 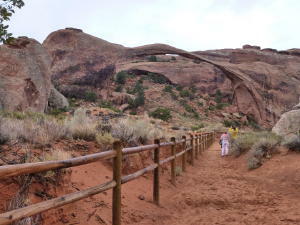 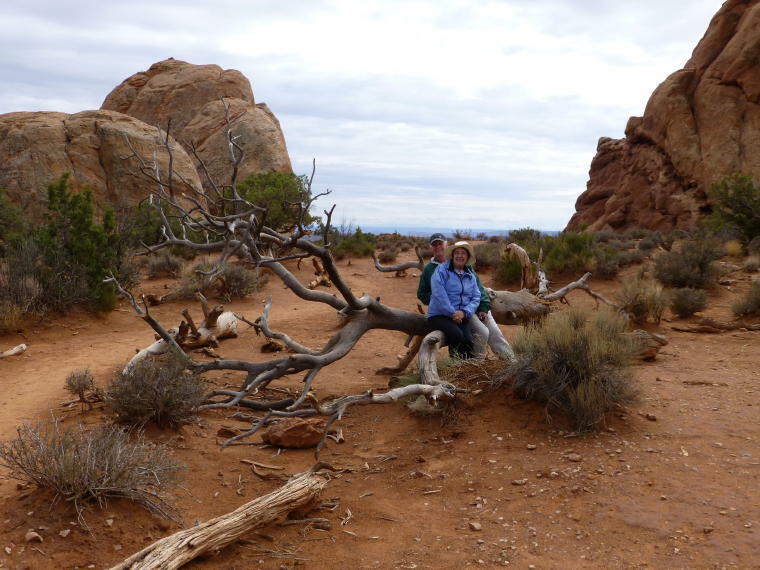 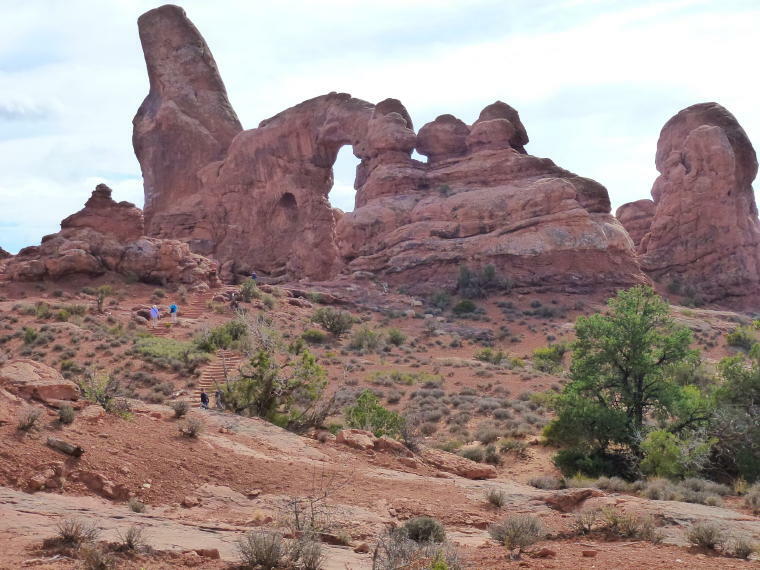 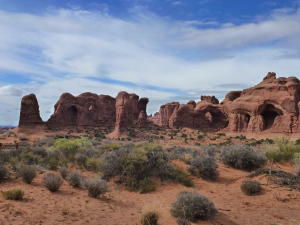 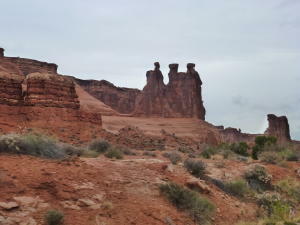 Trail to Sand Dune Arch - .4 mile round trip trail through deep sand and sandstone fins. 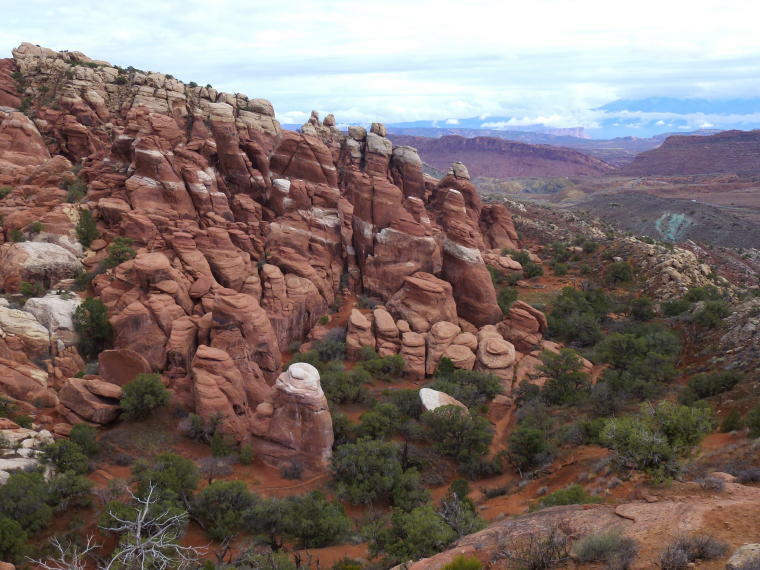 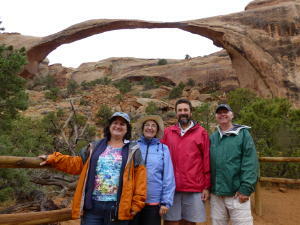 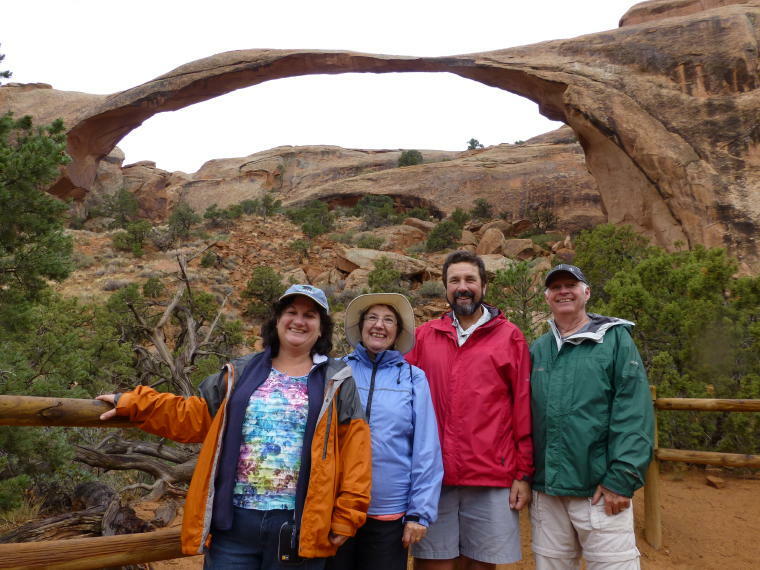 Skyline Arch - a short .4 mile roundtrip hike on a flat trail. Double Arch - two giant arch spans which are joined at one end.